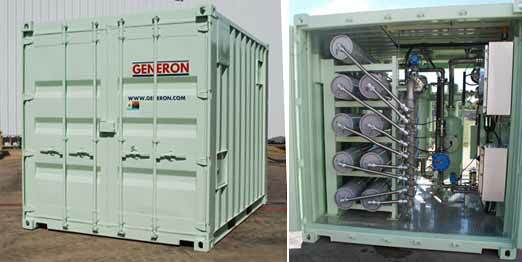 In June 2016 GENERON IGS was awarded an order from Chevron Nigeria for the supply of a containerized nitrogen membrane system. The system with a flow capacity of 30,000 SCFM at 98% Nitrogen will be used to supply inert gas at Chevron’s Gas to Liquid facility at the Escravos Site, Delta State, Nigeria. Back in 2011 GENERON had commissioned the first unit with the same capacity which performed to Chevron’s full expectations. For further information on the IGS Group of Companies, please contact us through our website at www.generon.com on our capabilities.